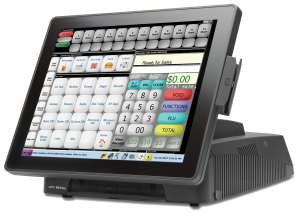 Pinnacle’s award winning Palm POS™ is the fastest, most robust touch screen point-of-sale in the market! Designed and developed specifically for the convenience petroleum industry, Palm’s touch screen interface and modular flexibility will ensure your operations are smooth and consumers get the service they demand. Does your point-of-sale address PCI compliance requirements? Palm does! Pinnacle’s Palm POS™ is specifically designed for the petroleum convenience store industry. Pinnacle understands that retailers need security without giving up flexibility and reliability. Palm POS is highly configurable and provides the flexibility to work within any infrastructure and with a variety of peripherals. Palm POS also provides the Security to comply with PCI requirements and protect consumer data, as well as the Reliability demanded by the c-store environment. When combined with Pinnacle’s Loyalty solutions, Palm POS will become the most Powerful resource in your c-store. Pinnacle takes security very seriously. We added encryption, masking, and a secure database to Palm years before the industry required it, and we will continue to make security a priority. Palm POS exceeds all PCI requirements and is a PCI PA-DSS validated payment application. POS functions are assigned to user-defined security levels. You can count on Palm POS to be a speedy performer and a workhorse; average ring response time is 45 milliseconds, and there is no down time at shift close. Palm POS is hardware independent and is compatible with the leading platforms in the industry; its robust architecture has plenty of options for data backup and recovery. Get the ultimate in flexibility with Palm POS. Palm offers the most hardware, device and configuration choices of any POS in the industry. You have complete design control of the PLU keys and menu boards. From the number of PLU keys to the size, color, graphics and even the position on the GUI – every aspect can be customized. Integrated fuel control for all pump brands. NTEPcertified. Determine pump status at a glance. Supports pay at the pump, fuel stacking, cash acceptors, fuel discounts, ZIP code prompting, loyalty, car washes, price signs, driveoff management, and more. Over 50 different daily sales reports are available and may be customized to suit your needs. Transaction history can be archived for definable time-frames. There are numerous options that can be customized in Palm: device interfaces, cash/credit pricing, security access, receipt headers, card prompting, screen layouts, payment routing, multi-use cards, tiered discounts, mix/ match reporting, day close scheduling, images, wave files, alarms, age verification, training mode, and much more. Palm supports more devices than any Point of Sale in the industry. The list of supported devices continues to grow, so ask us about your preferred vendor. Pinnacle offers the broadest footprint of products and services in the industry. Extend the value of Palm POS by using other Palm products and services. POS Manager™ enables remote POS configuration management. Set up or change Palm configuration at one store or a group of stores from the corporate office. Professional Services experts are available to assist with roll outs, best practice analysis, network assessment services, and other c-store initiatives. Palm.kiosk is a free-standing kiosk designed for QSR food service operations. Promote your brand with a custom graphic for your kiosk pedestal. Increase up-sell opportunities through combos and other promotions. Supports multiple languages. Fully integrated with Palm POS™. Loyalty Solutions help you win and retain the most profitable customers. Palm’s unique multi-use capability allows your company’s proprietary branded card to also serve one or more Loyalty functions. Design promotions and tiered discounts based on your business model. Loyalink is server-based and allows loyalty rewards to be delivered in real-time. LoyalPass is Pinnacle’s pump authorization and drive off management solution. Give your recognized loyal customers the convenience of post pay fuel sales even if your stores operate in prepay only mode. LoyalPay is a self-hosted stored value card. Increase your benefits from prepaid cards by offering your own branded gift card program. Give your loyal customers the ease of pay at the pump with the “same as cash” price. LoyalDebit takes Loyalty one step further and lets a Loyalty card initiate an ACH transaction. LoyalDebit Mobile extends Pinnacle’s Loyalty suite of products by offering a mobile option for LoyalDebit, an ACH debit payment solution. LoyalDebit Mobile extends payments to the customizable and branded Affiniti Consumer Mobile App. Affiniti Mobile Solutions include a consumer app to drive loyalty and extend your reach, as well as a corporate app to enable you to take your back office business intelligence on the road. SkimDefend Mobile App is Pinnacle’s tamper reporting tool for retailers that helps safeguard your customers and your business against fraud at the pump. Available in Single Store or Multi-Site applications. Technical Training, both classroom and web-based, are available for your store personnel and IT staff. Custom curriculum is available upon request. Article: Pinnacle Palm POS - SSD vs. HDD Benefits and ROI?